A special filtering layer of NSF-certified activated carbon strips out the bad tastes and odors from your water. Then a layer of Ion Exchange Resin softens the water. How long does the Turapür Pitcher filter last? 90 gallons, or about two months for the average family. You can purchase a single replacement filter from the button above. A single replacement filter is $17.95 plus $4.95 shipping. Will I get clear instructions on how to start using the Turapür Pitcher? Yes, in every Turapür Pitcher package we send out, we include very clear instructions on how to install the Turapür, including pictures. You can also find videos online. The whole process takes just a few minutes. The Turapür is covered by our 100% three-year warranty, and within that timeframe, all defective parts will be replaced for free. Filters, however, should always be replaced every two months, and wearing out from normal use is not covered under the warranty. 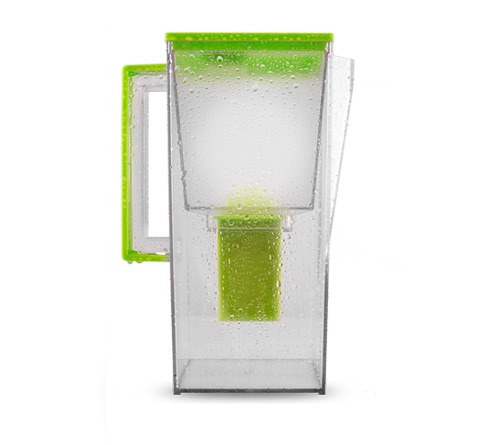 This pitcher will transform the water you and your family drinks, and may be one of the best choices you make in your life when it comes to your health. You saw the demonstration showing how the most popular bottled water brands are oxidizing, and Turapür water is an antioxidant for your body. If you’re still not convinced that Turapür is a valuable addition to your household and your health, honestly it’s probably best you pass on this opportunity and let someone else who’s ready to improve their health, claim their Turapür today. Try Turapür Water Pitcher Today!